Is the Government Removing ‘Medical Cannabis’ Competition? How To Win The War On Drugs? Legalise! Hemp is a powerhouse of sustainable solutions with a track record of success globally. The Hemp Business Journal calculated United States (US) sales of hemp products in 2015 to be 25% greater than their 2014 total of $400 million (the Hemp Industry Association [HIA] estimated US hemp product sales in 2014 at $620 million). Thirty-six countries throughout Asia, Europe, South America, Africa and North America permit hemp production. 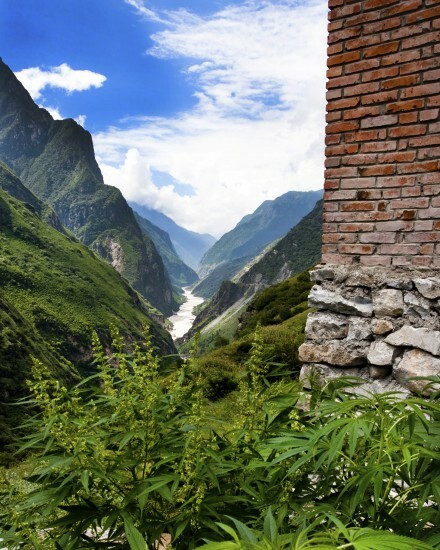 Unlike the US and many other countries in the twentieth century, China never banned the production of hemp despite strictly prohibiting the psychoactive forms of Cannabis sativa. Hemp has been part of Chinese culture for thousands of years and as a result, they have discovered its countless uses and benefits, securing over half of the 606 hemp patents recorded by the UN’s World Intellectual Property Organisation in 2014. It is not surprising the world’s most populous country and second largest economy is also the largest producer of hemp in the world, accounting for half of global production. China is the largest supplier of raw and processed hemp fibre for the US, which imported US$36.9 million worth of hemp in 2013. In the first eleven months of 2013, China exported hemp yarn worth US$11.9 million, increasing sales by 145.2% from the previous year. Chinese companies in the Cannabis industry have in recent years achieved “sales revenue [of] about six or seven times the value of their fixed assets”. US Congress should reflect on how they are limiting American research and development for hemp products, which gives the US’ main economic competitor an advantage. India, the world’s second most populous nation with the sixth largest economy, is another Asian country with a long history of hemp use. An ancient Hindu text even calls Cannabis sativa, “sacred grass”. Unlike China, modern India banned hemp cultivation until 1985. Hemp production was federally permitted, though individual states controlled the licences and refused to issue them. Consequently, India’s hemp industry is only beginning to build momentum. The Indian Industrial Hemp Association (IIHA) formed in 2011 to promote and support hemp industries. Uniting with national and international organisations in 2014, IIHA established the first Indian HEMP conference. 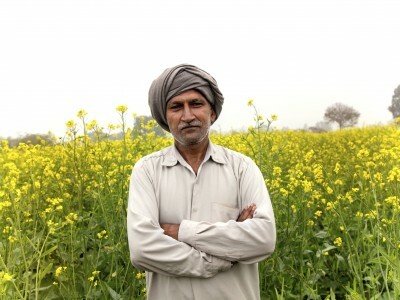 At the end of 2015, the state of Uttarakhand became the first in India to legalise hemp production and the Ministry of Textiles sees this first step as a way for Indian farmers and industry to capitalise on the US$800 million global hemp market. The National Agri-fibre Initiative (NAFI) has been launched to boost the agri-fibre industry in South Africa and is making headway with regard to creating awareness and lobbying support for the fledgling industry. Hemporium, located in Cape Town, has been importing and developing hemp products in South Africa for around fifteen years. They collaborated with partners on three year hemp trials in Western Cape that proved very successful in showing cultivar behaviour and production. Similarly, Malawi permitted Invegrow to conduct research trials in November 2015; their vision for the future of hemp cultivation is, by December 2016, the Malawian government and Invegrow hope to begin commercial hemp production, a boon for the Malawian people and their economy. Since Malawi is predominantly agricultural based it stands to benefit considerably from hemp as a new cash crop by creating raw materials for export or value-added products. However, it is vital that a regional market is developed to bring hemp out of the ‘niche’ market and into the mainstream. In Malawi, the Dangerous Drugs Act does not distinguish between Cannabis (‘Indian hemp’ or ‘chamba’) and industrial hemp. Thus terminology proves to be a major challenge. However, the Act does in fact indicate products from Cannabis could be produced under a licence, such as with morphine and could be imported for consumers as food, for example. Since many other countries worldwide have amended their definitions, including the United Kingdom, Australia and Canada, there are many examples to draw from. This legislative procedure will take time but in the meantime trials will be conducted to test THC levels, cultivars and markets. Trials started in 2015 with licences from the Ministry of Agriculture and Health with the project attracting interest from the highest office in the country, the Office of the President & Cabinet. In Chile, hemp has been an important industrial plant since its introduction by the Spanish around 1545 and Chile leads South America in production. For several years, Chile has hosted the largest hemp trade fair in South America and the event is spreading to other countries adopting hemp legalisation. Hemp has found such a place in Chilean culture that many are surprised to learn that ‘cañamo’ (hemp) and Cannabis are related plants. Many farmers wonder how a plant that can be made into so many useful products for living and working on the farm could turn out to be of the same species as Cannabis. Chilean farmers recognise there are industrial hemp varieties and also there are Cannabis varieties and that they are as different as night and day. Chilean law still respects this difference and there have always been provisions allowing for legal cultivation of Cannabis as hemp. In present-day Chile there are very few hemp farms, but there is a concentrated effort preparing for a resurgence in hemp cultivation and new hemp industries are being developed. Many of the recent developments have been in response to the international demand for hemp products. Much of the work is centred around assuring the propagation of acceptable non-psychoactive varieties and new product research and development. Pristine natural climate, rich soils and long agricultural traditions make Chile a natural place for a resurgence in hemp cultivation. In December of 2013, Uruguay became the first country in the world to “fully legalise the research and develop ment, as well as cultivation, distribution, sale and consumption of non-synthetic cannabinoids and hemp”. This historic move was primarily an effort to stop drug cartels, but also to benefit the country’s people and their economy; corporations have already been issued licences to grow industrial hemp. Uruguay has set a precedent for the world which should pay close attention to their experiment as it progressively unfolds. Hemp is a globally traded commodity worth over US$1 billion and growers in Uruguay are preparing to cash in. The CEO of International Cannabis Corp., (one of only two licensed Uruguayan Cannabis producers) Guillermo Delmonte, said “Recreational Cannabis is regulated by the government and we sell what the government lets us sell. In the hemp market we can produce all we can to meet demand”. Given how difficult the country’s industry roll-out has been and just weeks before selling its first ounce of Cannabis at pharmacies, International Cannabis is already betting hemp will be a much bigger market than selling the psychoactive plant, according to CEO, Guillermo Delmonte. The company plans to start cultivating hemp in September 2016. Meanwhile, national Cannabis sales should begin in Uruguay in a “matter of weeks” National Drugs Board chairman Juan Andrews Roballo said. The global market for hemp is set to grow beyond its current $1 billion as more countries legalise production. International Cannabis is already in advanced talks with five European and South American pharmaceutical and food companies to supply additives like hemp oil and hemp-based extracts for medical products, Delmonte said. Germany hosted the world’s largest industrial hemp conference in June, the 13th International Conference of the European Industrial Hemp Association (EIHA). Growing participation reflects the growth of the hemp industry throughout the continent and the world. European hemp production for 2016 is estimated to top 60,000 acres, indicating a 300% increase over a 5 year span. Moreover, a German hemp production company became the first in the world to obtain an International Sustainability and Carbon Certification (ISCC PLUS) for two of its hemp products and more are set to be accredited this year. The certification process involves rigorous ecological testing of the company’s supply chain, so this primary endorsement strongly reflects hemp’s status as a sustainable and environmentally friendly crop. In addition to Germany, hemp cultivation is prevalent throughout Europe, though it is most prominent in France, Romania and Hungary. Slovenia has been growing hemp for over a decade and many farmers and industry leaders there see hemp as the sustainable and profitable crop of the future. Hemp’s many uses and minimal resource requirements will help end dependence on fossil fuels in addition to replacing more expensive crops controlled by global seed corporations. Similar to the US, Australia still maintains federal regulations on hemp production, even though individual states, starting with Victoria, began licensing farmers to grow it in 1998, but farmers are restricted to growing fibre and construction materials as politics has prevented them from access to booming worldwide hemp food markets. Other jurisdictions followed Victoria’s lead, however, including Queensland, Tasmania and Western Australia. The 2008 Hemp Industry Act permitted hemp cultivation in New South Wales. In 2014 Australian hemp producer Ecofibre said of the industry: “What we are producing presently is just low-level, low-value market material such as pet bedding, horse bedding, erosion control mediums, oil spill containment products, garden mulch – you know, basic things like that … there’s lots of products we could get to eventually, but … the industry isn’t at that stage yet. It’s hampered”. In 2016, researchers at the School of Material Science and Engineering at the University of New South Wales have been experimenting with using hemp fibre for auto parts since 2000. A team led by Alan Crosky has developed materials from hemp fibres that have a higher strength-to-weight ratio than steel. A statement from the school hails hemp fibre as a reinforcement and alternative to synthetic fibres such as glass. “The fibres are a renewable source, making natural fibre composites particularly attractive from an environmental standpoint” the statement says. In the Northern Territory, the Department of Industry is running its first test trial at Katherine Research Station. The trial is being supported by EcoFibre, which grows industrial hemp commercially in New South Wales, Tasmania and Queensland. Senior research agronomist Dr Ian Biggs said three varieties of industrial hemp would be trialled over three separate plantings. The Northern Territory’s current legislation doesn’t allow for the commercial growing of industrial hemp, but special consideration has been made to allow for this trial. with permission gained from the Department of Health. “The initial aim of the trial is to see if hemp will grow here” he said. “It has been trialled before in Mareeba (Queensland) and Kununurra (Western Australia). From reviewing literature and talking to people it seems hemp is very day-length sensitive, which is why it’s typically grown in more temperate areas. Once the day length starts to get too short it starts flowering. So we’re not sure how it will go in this latitude”.It’s expected that in the Katherine climate it will take 90 to 120 days for the grain varieties and around 150 days for the fibre variety to grow. Despite allowing varying levels of hemp cultivation, hemp food products are still illegal in Australia (and New Zealand) for human consumption, even though every other industrial nation in the world has legalised hemp. The regulating body, Food Standards Australia and New Zealand (FSANZ), has closed submissions on their latest proposal on low THC hemp seeds as food. Previously, based on misguided concerns by law enforcement that hemp consumption could somehow affect roadside saliva drug testing or would ‘send the wrong message’ about Cannabis consumption, human consumption has been repeatedly refused. Hopefully in 2016 the thousands of Australians who’ve been consuming hemp seeds for decades will be rewarded with a legal product and the industry will really take off! After commercially legalising hemp production in 1998, the Canadian hemp industry continues to expand. Hemp exports in the first four months of 2015 were worth $34 million compared to $12 million for all of 2011. As the largest exporter for hemp seed and oil-cake to the US, Canada has taken advantage of US hemp prohibition and capitalised on the increasing American demand for hemp and hemp products. The Canadian hemp industry was initially centred on hemp production for the food sector, but its focus has expanded to include hemp alternatives to fibreglass, textiles, green energy storage, insulation and construction (hempcrete). Canada’s Department of Agriculture and Agri-Food (AAFC) notably labels hemp as “the world’s premier renewable resource”. Canada prohibited hemp a year after the US did, but after lifting its 60-year ban, has economically benefited for almost two decades. On 23rd August the USDA announced it will allow certification of hemp crops grown in compliance with Sec. 7606 of the Farm Bill. This is a positive first step by USDA as a result of pressure from NHA and others in the industry to recognise hemp as a legitimate crop. While this decision may be helpful for hemp farmers in states such as Kentucky, Tennessee and Oregon, it is unclear what effect it will have on Colorado farmers who are operating under a commercial permit issued by the Colorado Department of Agriculture. View the USDA hemp certification instructions at this link. Hemp is a billion dollar industry with incredible growth projections. A certifiably sustainable crop that promotes environmental health as it boosts economies. The argument for hemp is easy to make when we honestly analyse its abundant economic, environmental and social benefits. Here is a quick list of countries, aside from the above-mentioned, where it is legal to grow hemp. Austria – has a hemp industry including production of hemp seed oil, medicinals and Hanf (hemp) magazine. 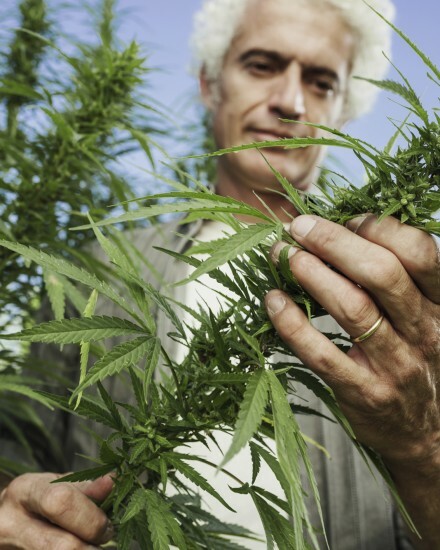 Denmark – planted its first modern hemp in 1997 and is committed to utilising organic methods. Finland – had a resurgence of hemp (‘hampu’) beginning in 1995 with several small test plots. France – harvested 10,000 tons in 1994. France is the main source of viable low THC hemp seed. The French word for hemp is ‘chanvre’. Great Britain – lifted hemp prohibition in 1993. Animal bedding, paper and textiles have been developed. A government grant was given to develop new markets for natural fibres and 4,000 acres were grown in 1994. Subsidies are given by the government for growing. Hungary – is rebuilding their hemp industry and is one of the biggest exporters of hemp cordage, rugs and hemp fabric to the US. They also export hemp seed and hemp paper. The Hungarian word for hemp is ‘kender’. Japan – has a religious tradition which requires that the Emperor wear hemp garments, so there is a small plot maintained for the imperial family only. They continue to import for cloth and artistic applications. Netherlands – conducting a four year study to evaluate and test hemp for paper and is developing processing equipment. Seed breeders are developing new strains of low THC varieties. The Dutch word for hemp is ‘hennep’. Poland – currently grows hemp for fabric and cordage and manufactures hemp particle board. They have demonstrated the benefits of using hemp to cleanse soils contaminated by heavy metals. The Polish word for hemp is ‘konopij’. Romania – is the largest commercial producer of hemp in Europe. Total acreage in 1993 was 40,000 acres. Some of it is exported to Hungary for processing. They also export to Western Europe and the US. The Romanian word for hemp is ‘cinepa’. Russia – maintains the largest hemp germplasm collection in the world at the N.I. Vavilov Scientific Research Institute of Plant Industry (VIR) in Saint Petersburg. The Russian word for hemp is ‘konoplya’. Spain – grows and exports hemp pulp for paper and produces rope and textiles. The Spanish word for hemp is ‘canamo’. Switzerland – is a producer of hemp. The Swiss words for hemp are ‘hanf’, ‘chanvre’ or ‘canapa’ depending on whether you are in the French, German or Italian speaking area. Egypt, Korea, Portugal, Thailand and the Ukraine also produce hemp.